After a 31-hour-long face transplant surgery, 21-year-old Katie Stubblefield has turned over a new leaf in her life. She underwent 17 surgeries before finally going under the knife for the transformational procedure. Katie Stubblefield's disfigured face was an outcome of her suicide attempt at the age of 18, following a number of emotional hurdles she faced as a teenager, reported CNN. The self-inflicted gunshot wound led to Katie losing her nose, mouth; it also displaced her eyes, thus impairing her vision. 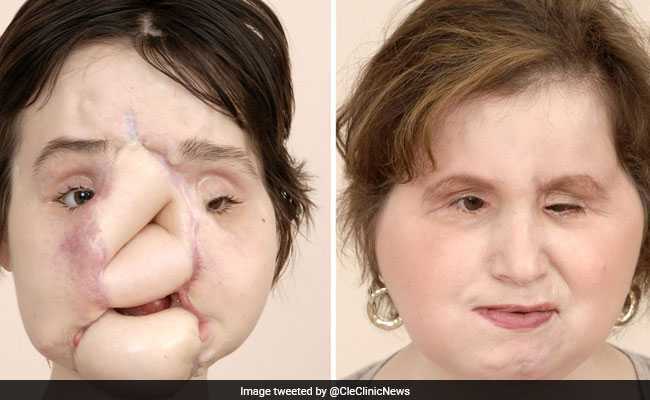 According to a video posted by Cleveland Clinic, the hospital where Katie was operated upon, 100 percent of her face was transplanted by doctors, to achieve results that cannot be called anything less than miraculous. Techniques and technologies such as surgical rehearsal, 3D printing and virtual reality were used as part of the pre-operative planning, said Cleveland Clinic. Katie's family was extremely supportive throughout this journey. The hospital's video quoted her father Robb as saying, "This journey has been four steps forward, two steps backward, but always progress." The 21-year-old was put on the waiting list for a face transplant in 2016; over a year later a donor was found, making Katie the 40th face transplant patient in the world. She was operated upon in May 2017, making her the youngest one in the US to undergo the procedure. She will continue to be on medication for the rest of her life to minimize the risk of transplant rejection and is also taking physical and occupational therapy, including help from a speech therapist, reported CNN. Katie's story made it to the National Geographic magazine as she featured on their cover for the September issue.